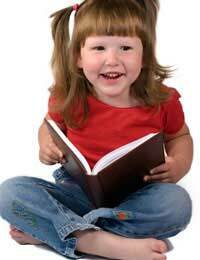 Home > Impact on Children > Are Books Obsolete? For most of us, books were a major part of our childhood. Who remembers having a favourite story, read from a dog-eared copy of a story book whenever we needed a comforting tale? Going to the library to extract new books, and returning home with treasures that awaited reading, under the bed covers when we were supposed to have been asleep? Books of fairy tales, mysteries, ghost stories, then as we grew up romances, horror stories, thrillers and a sneak peek at somebody’s mum’s copy of the latest Jackie Collins for the rude bits? All that has changed drastically in the past ten years. For some time now, social and media commentators have been dramatically predicting the sad demise of traditional publishing and the rise of the e-book. We might have scoffed at this idea a few years ago, but with Kindle and iPad, e-books available to download onto smart phones, all formats of downloadable reading matter on the ascendant and libraries being closed, what is the future of the traditional book? It’s not looking bright! What’s the Story with Book Shops? One of the biggest global book chains, Borders, is no more. Many an idle hour may have been spent browsing the books in this behemoth of a book chain but after its bankruptcy last year, many avid book readers have been forced to find other sources, and as high street shops go out of business, readers are forced to order online. The next logical move from simply ordering hard copies online is to order an e-book instead. An e-book takes up less room, it’s quick and convenient. But can a Kindle ever replace curling up on the sofa and reading Winnie the Pooh to your little ones from your own copy of the book, lovingly treasured since your own childhood? Can you ever really treasure an e-book anyway? It’s not just Borders that’s been losing money. In the grip of an economic recession most retailers of non-essential, luxury goods tend to make less money. But would anyone have predicted the 70 per cent drop in profits reported by Waterstones in 2010? Even though the chain could be said to be embracing technology itself, with 30,000 of its titles already available as e-books? As part of the tough new cuts planned by the government, there have been reports of libraries closing all over the UK. Is this just another nail in the coffin for reading as a pastime? Getting your hands on new books for nothing was one of the little pleasures of our childhood, but it’s telling that by law, schools are not required to have a library (although prisons are) and it could be argued that children no longer see reading as a trendy or even fun way to while away the hours. There are protests planned all over the UK at the closure of local libraries, but does the mere fact that the government is happy to close libraries simply reflect the fact that they aren’t being used as much? Do children prefer to sit in front of a games console and play games, making providing free copies of books they no longer want to read pointless and a waste of public funds? While book formats may be changing in the same way as vinyl made way for CDs and MP3 in the last two decades, it would seem that reading isn’t really seen as an essential pastime by children of the 21st century. Some books are no longer even published the traditional way, only being released in e-book format and published electronically. Is the publishing revolution going to lead to eye-strain from reading a book on an iPhone than a good old fashioned paperback format? Apparently not. The old wives tales about sitting too close to a screen giving us sore eyes were just that – old wives tales – and doctors advise that in some cases, reading on a Kindle or any e-reader is no more likely to give you or the kids eye problems than reading a book in bed. Are there any product safety standards for dog and cat toys in the UK, as there are for children's toys? If not, there should be! Re: Second Hand Toys: What Are my Rights? Does a toy for a baby have to say on it what age/months they are for? Hi, I have imported some teething toys from China. There is no CE marking. Can I arrange to have these tested myself? Re: What is This Toy Safety Mark? Re: Toys: What Are My Consumer Rights?